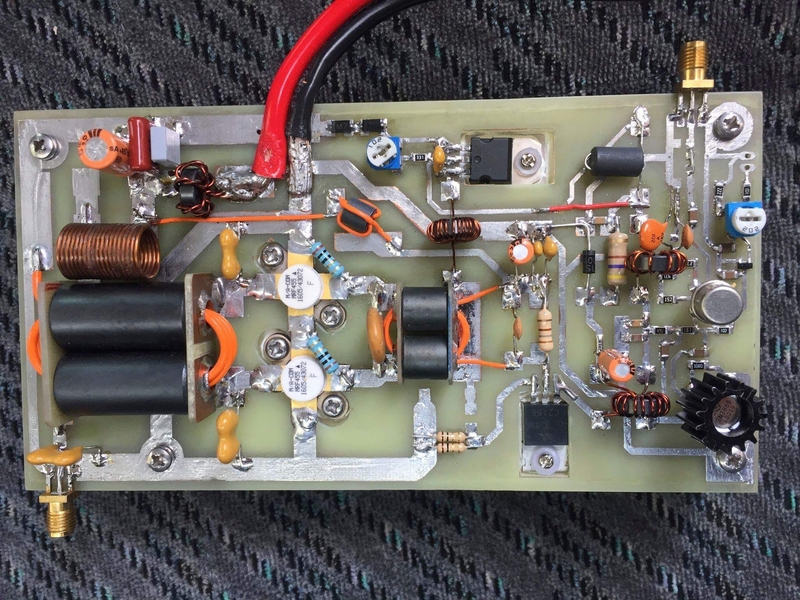 Here's a 100w all band HF amplifier homebrew design by Gopakumar Kesavakurup VU2XTO using MRF 455 in the finals. 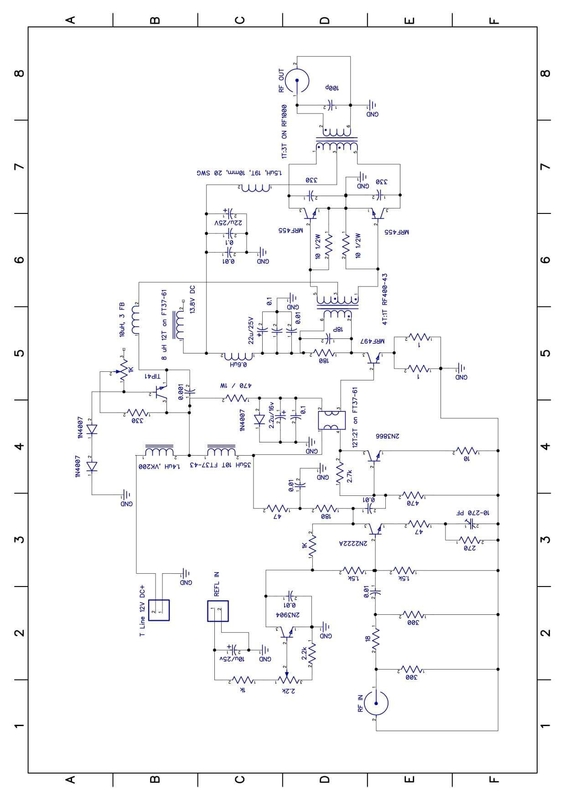 Circuit diagram and PCB layout for toner transfer or fabrication is attached below. Let's hear from him about his design. calculated the matching transformer values and turns ratios with available toroids. Bias current should be set by putting and Ampere meter in seres with the positive line i.e. 13.8VDC line and adjust 1k preset for 400mA. Wile doing this apply 12 Volt to the T Line also. T Line is the transmit line where 12V applies on PTT. The other 13.8VDC line can be connected directly after setting the bias current. If 2N222a SMD not available you can use 2N3904 SMD , You can give SWR reflection to REFL in port and adjust the 2.5K pot to reduce the power to desired out put level based on SWR value. It is a good protection for the final transistors. Transformer images cane seen n the Amplifier photo. Conventional PA transformer winding method by using PCBs on both sides with copper tube inside. This amplifier is not much complicated. I am using in all the 4 bands 80,40,20,15m perfectly . Our friend VU3YES Praveen also assembled one and he is very much active in 40m with 100 W power. Wishing you a very nice home brewing for this new year 2018..